Koobr helped us to reinvent our business online with a new website. The team guided us at every stage of the process. We are looking forward to working with them for many years to come. Evolving throughout the years to become more than just a construction company, Hodgkinson Builders worked with Koobr to commission a brand new website that better reflected their broad range of services and well-established reputation for quality within the industry. Based in Derbyshire, Hodgkinson is one of country’s leading providers of private and commercial construction expertise across the UK and internationally. With a long and storied history, the company has amassed a formidable reputation within the industry. With an existing website that no longer reflected the company’s expanded services, nor accurately representative of the level of prestige associated with the name, a completely new build was required to bring their marketing and business presence online spectacularly up to date. From the outset, Hodgkinson wanted more than a simple ‘renovation’ of their existing website — they wanted a completely new build that, whilst remaining faithful to the company’s brand identity, would feel fresh and functionally better in every way. Everything from the existing build was thrown out. Working closely alongside staff at Hodgkinson, our design team put together a carefully planned site structure that was more efficient and easy to use from a navigational standpoint. 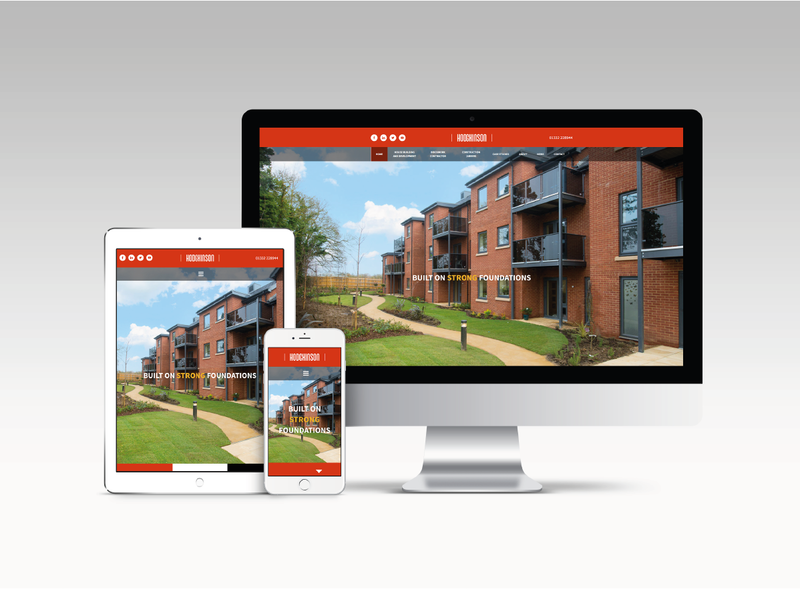 Hodgkinson are now left with a leaner, better looking website that’s more attractive to customers and potential contractors. With the site structure in place, elements from the company’s existing brand identity were carefully selected to help bring together a clean and instantly recognisable aesthetic across the entire website. Key messaging in line with the brand style were also created, working seamlessly alongside the visual elements, to enhance communication in a professional and consistent way. As part of delivering a positive user experience for visitors, it was important to build a website that worked for every kind of user. Everything was designed and put together with responsiveness in mind, ensuring seamless functionality and readability across all types of devices (desktop, mobile, tablet), on all types of screen qualities and sizes. The new site was also built to ensure it can be accessed on all browsers without any issues. Content management was also included to ensure Hodgkinson staff could easily add, manage and edit content on their website — keeping their marketing efforts up to date with the changing needs of their business and their customers. Grant funding is now available. Get in touch to find out more.